Harley’s got you covered with their new rider courses. We all remember our first ride -- but all the work that it took to get to that point might not be such a fond memory. There’s a lot to learn when you’re a new rider - and knowing where to start can be a lot. 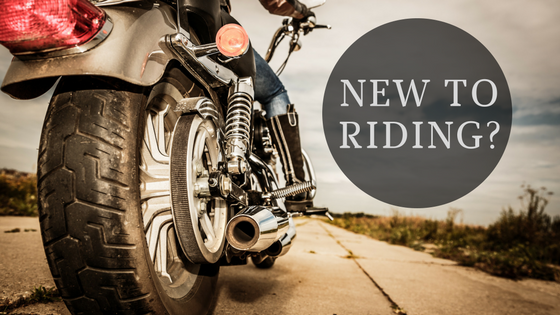 But fear not -- Harley’s new rider classes will get you ready in no time. The motorcycle giant is on a mission to help new riders feel confident and safe on two wheels through their New Rider Academy Courses. These courses are available at select Harley dealerships and are led by the cream of the crop -- Harley’s certified coaches. The course is a combo of classroom and practice range time where riders learn the ins and outs of the bike, basic safety skills, and how to actually ride a motorcycle -- and trust us, there’s no better feeling than that. After required exams are completed (and passed) riders receive a completion card that could potentially wave their DVM riding exam. And anything you can do to avoid the DMV is always a positive. So why did Harley start these courses? Because training is crucial and they are stepping up to the plate to attract and prepare a new generation of riders. By taking a course through Harley and learning to ride on a Harley, they hope that these new riders will one day -- you get it -- buy a Harley. Now the question is -- will other manufacturers follow suit on providing courses specific to new riders? We hope so. Our riding community embraces both new and seasoned riders and we are always eager to add more to our crew. Click here to find a course to get you started and we’ll see you on the road. It's one of my fav thing to do in free time. I also like writing using advices from this source. It makes me really happy. Harley is going out of United States? Is it true? Typically I never ever discuss blog sites however your post is so convincing that I never ever stop myself to claim something regarding it. You're doing a great task Man, Keep it up. If everybody smoked a blunt, relieve the mind, the world could be a better place if everybody took a break and we all just got wasted click here.